One of the neighbors who reported the Colts Neck mansion fire last month made a grisly discovery when he reached the property, according to a 911 call. The neighbor told the 911 dispatcher that smoke was coming out of the house located behind his property. The dispatcher told him to see if the person laying down needed assistance. It was at that point that the neighbor apparently made his way to the property and came across the grisly discovery — a body outside of the mansion. 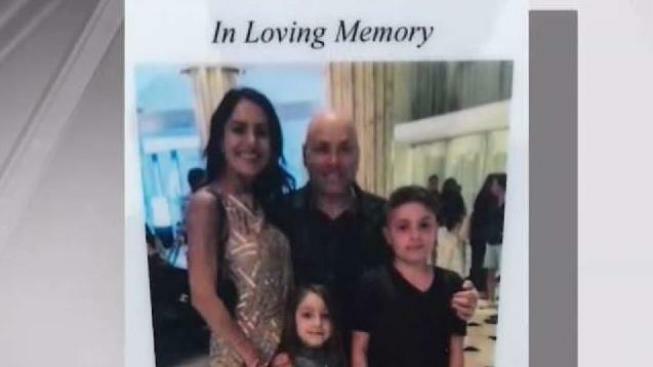 Authorities would subsequently report that Keith Caneiro was found shot to death outside the home, while his wife and children were found inside the residence. The dispatcher advised him to leave the property and get to a safe location. In another 911 call, another neighbor, this time across the street, also reported seeing heaving smoke coming from the mansion. Authorities say Paul Caneiro shot his brother, Keith, shot and stabbed his sister-in-law, Jennifer, and stabbed the children before dawn Nov. 20, then set the mansion on fire and returned home in Ocean Township to set fire to his own home as his wife and two adult daughters slept upstairs. They all escaped. After his arrest in that fire the next day, his lawyers said his family believed he had rescued them. They were not in court Nov. 30, lawyer Robert Honecker said, because their testimony wasn't needed when Caneiro waived a detention hearing. A judge ordered him to remain at the Monmouth County jail at least until a hearing in late January. The Caneiro brothers had started a computer consulting business in Brooklyn that had grown to have 26 employees by 2001, with clients including Citibank. They had renamed it Square One, and moved to the quieter New Jersey suburbs. They married and started families - with each brother standing up for the other at their weddings - and added a pest control company along the way.